Lima announces a Series A funding round with Partech Ventures, an American-European Fund. Partech’s investment of $2.5 million will help to accelerate Lima’s development worldwide, allow the team to expand its engineering, marketing, sales and distribution efforts and to build an efficient go-to-market strategy across North America, Europe and Asia. The team behind Lima, an innovative technology that consolidates all of your content, enabling you to see the same files on all of your devices regardless of operating system or device size, today announced that Partech Ventures, an American-European Fund, has invested $2.5 million in a Series A Financing round to accelerate Lima’s development worldwide. Lima was perceived as a must-have after nearly 13,000 people supported its initial launch on Kickstarter last summer. Lima not only reached its initial funding goal in less than 12 hours, but became the 6th most crowdfunded technology project at that time, raising a total of $1.2 million. While the Kickstarter campaign was a huge success and raised funds for initial production, the new investment from Partech Ventures will further accelerate the Company’s development of the Lima platform. The additional funding will allow the team to expand its engineering, marketing, sales and distribution efforts and to build an efficient go-to-market strategy across North America, Europe and Asia. “With the explosion of tablets and smartphones, our data is becoming more scattered and fragmented, making it harder than ever to consolidate and access what matters most,” said Severin Marcombes, co-founder and CEO of Lima. Unlike other solutions like iCloud Drive, Dropbox and others, Lima doesn’t create yet another silo for your content: it actually reinvents how your devices store data. Composed of a hardware adapter and a multi-platform app, Lima changes the OS architecture of your different devices, so that they all contain the same files. With Lima, your organization structure is the same across devices and you no longer need to copy and transfer files between devices, or to upload them to the Cloud. For the first time ever, local device size no longer matters, a godsend for those who don’t want to upgrade their smartphone or computer to accommodate their growing file library. Lima allows all of your devices to be as big as your Lima System at home regardlesshow much local memory you have on a specific device. If you make a change on one device, it will be instantly echoed seamlessly across all others. Lima handles files transparently through Windows, Mac OS, Linux, iOS and Android operating systems, enabling you to open any device and get all your files on it regardless of where you are in the world. The first Lima devices will ship in Q3 with broader distribution in Q4 in both North America and Europe. Consumers interested in ordering Lima can sign up at www.meetlima.com and be notified when pre-orders open in the next few weeks. Lima’s earliest Kickstarter fans and supporters can invite their friends and family so they can receive the product sooner than the general release date. Partech Ventures is an investor specializing in high-growth-potential Internet and information technology companies, with a long-standing track record in the American and European Venture Capital markets. The team has a strong experience in the international development of companies and is the winner of the "Les Echos" Best Venture Capital team prize thanks to the multiple sales of portfolio companies to industry leaders. Their investment strategy has been successfully applied for over 30 years and a large percentage of their portfolio companies have successfully executed their IPO or been acquired by global industry players. For more information, visit www.partechventures.com. Lima is a revolutionary technology that enables you to build your own personal Cloud in seconds. Composed of a smart hardware adapter and a multi-platform app, Lima enables users to easily and seamlessly access their digital library from all of their devices, wherever they are. Enjoy terabytes of files, coming straight from your home. Lima will unveil the new Lima Ultra at CES 2017 in the Smart Home Suite, an in situ experience to showcase the future of the Connected Home. FR/US company Lima Technology announced yesterday the release of its new product, Lima Ultra. Lima Ultra is a device that enables anyone to build a Personal Cloud very easily. 4 hours after announcing the new product, the first batch of Lima Ultra devices was sold out, outpacing the rhythm of its million-dollar Kickstarter campaign for first product Lima Original. FR/US company Lima Technology announces today the release of its new product, Lima Ultra. Lima Ultra is a device that enables anyone to build a Personal Cloud very easily. It's the 2d generation product of Lima Technology, which held the record of European Hardware campaigns on Kickstarter, thanks to its $1.2M crowdfunding success for its first product Lima Original. Valentine's day is about your significant other. Focus on this person only, not on devices. 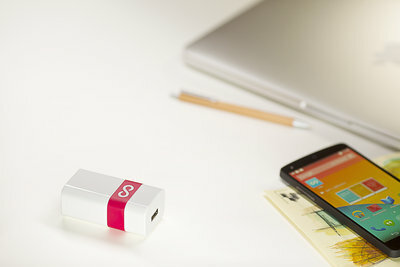 Crowdfunding success Lima announces the commercial release of its Dropbox-killer product. Lima is a device that enables users to create their own personal Cloud in seconds. 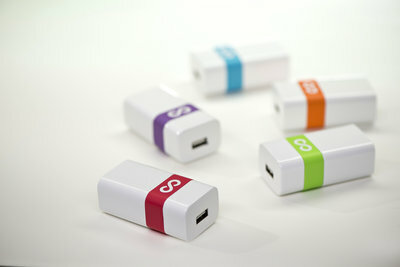 Backed by 12,840 people on Kickstarter, the product was beta-tested for 10 months and is finally ready for the masses. Version 1.0 will be available worldwide on November 25th.